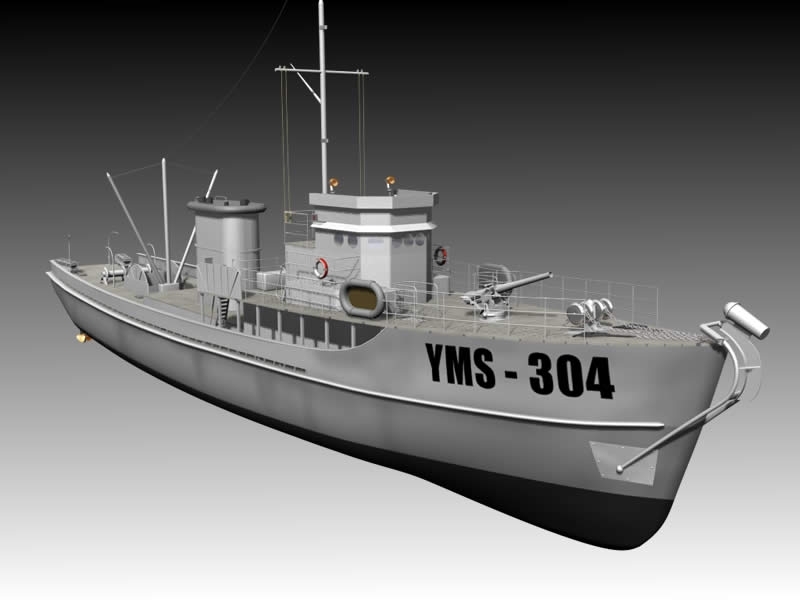 Of the 3 Minesweepers at the bottom of Lake Washington, only the YMS-359 was positively identified since their discoveries (the YMS-359 has 359 painted on the bow). 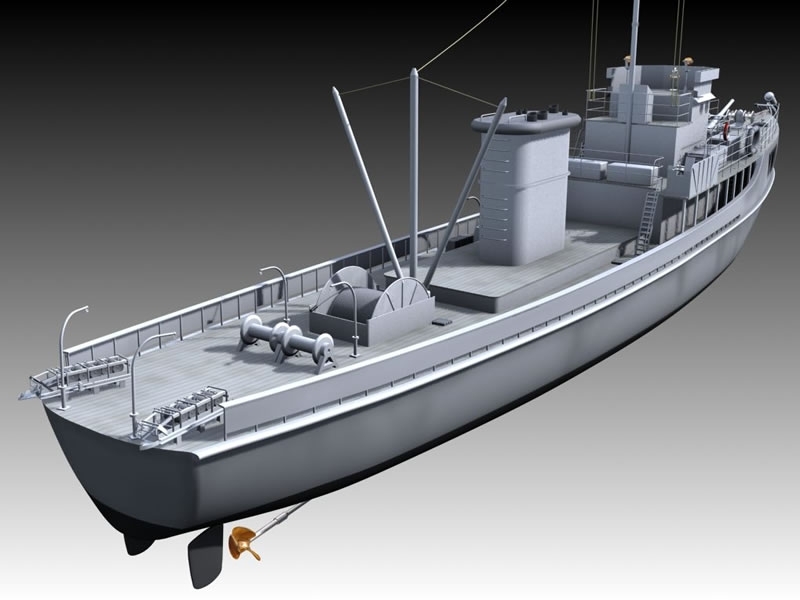 Now the guys over at pugetsounddivers.com are reporting they have identified one of the other two minesweepers and narrowed the identity of the third. The least intact YMS in the lake is now identified as the YMS-416. “Laid down 9 January 1944 by the Stadium Yacht Basin Inc., Cleveland, OH; Launched 28 May 1944; Completed 21 October 1944; Struck from the Navy Register 7 February 1947; Sold 6 December 1947.” Fate (previously) unknown. At some point this one was stripped and scuttled. 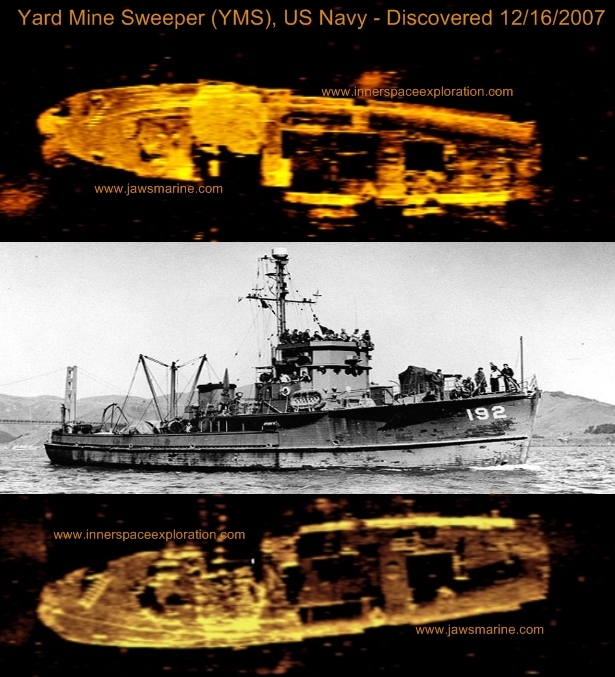 YMS 118 : Struck from the Naval Register, 17 April 1946; Sold in 1951 to the Northland Navigation Co., Ltd. of Vancouver, British Columbia, Canada, rebuilt as a general cargo vessel and named Pacific Prince; Sold 31 January 1962 to Skeena Navigation Ltd. of Vancouver; Sold 31 March 1962 to the Northwest Shipping Co., Ltd. of Vancouver; Sold 16 June 1966 to Fred S. Hill and John R. Keebaum of Seattle, WA and rebuilt as a fishing boat and renamed V-O; Sunk in February 1967 in a voyage from Seattle to King Cove, AK. YMS 124: Laid down, 4 December 1941 by the Krause and Banks Shipbuilding Co., Inc., North Bend, OR; Launched, 6 June 1942; Completed, 23 October 1942; Struck from the Naval Register, 17 April 1946. Fate unknown. YMS 311: Commissioned USS YMS-311, 6 November 1943; Decommissioned, 31 July 1946 and placed in service as a Naval Reserve training ship; Named Robin and reclassified as a Motor Minesweeper, AMS-53, 1 September 1947; Recommissioned in February 1952; Reclassified as a Coastal Minesweeper (Old), MSC(O)-53, 7 February 1955; Decommissioned 7 December 1957 and placed in service as a training ship at Tacoma, WA; Placed out of service in the summer of 1961; Struck from the Naval Register, 1 August 1961. Fate unknown. 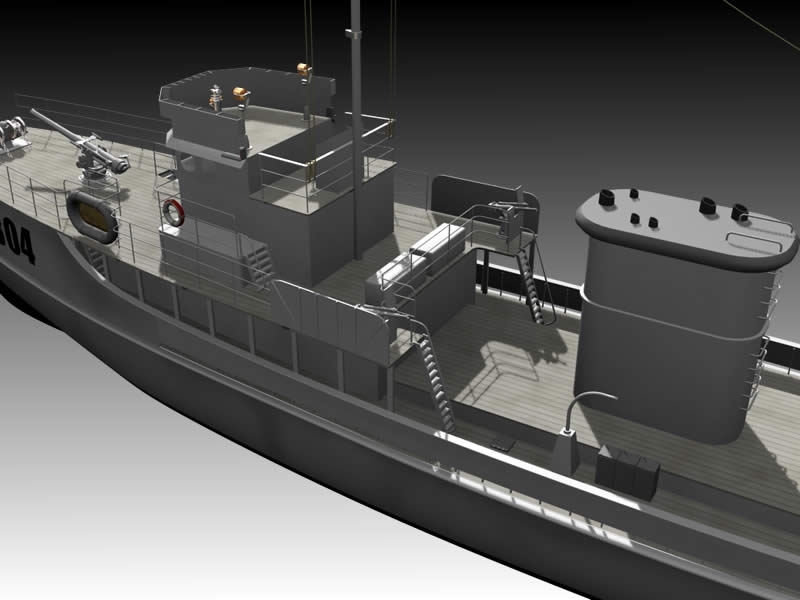 I tend to believe the most recent YMS to be discovered is the YMS-118 because the wreck we are diving has clearly been rebuilt into a fishing vessel. Note square windows of pilot house in prior posts – square windows are not ‘original equipment’ for any YMS as they all had round bomb-blast/porthole type windows. The inconsistency with calling this YMS the -118 is that it reportedly sank in route to Alaska – so how did it end up at the bottom of Lake Washington? I spent the holiday week taking tech2 with Andrew Georgitsis of GUE and 5th D-X. I made it through the class successfully but I’ll tell you it was a grueling week – both emotionally and physically. I intended to post a daily blog on the class but that proved too difficult with both class activities and the pending holiday. Our check-out dive was on the YMS-359 (Minesweeper) in Lake Washington. Depth is/was 200ft.